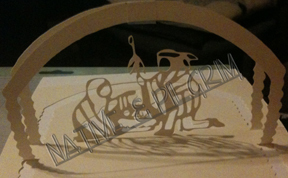 On the other side of the living room, Cricut Man is experiencing his own trial and error coming up with some unique cards that we can sell at an upcoming Native American powwow (at Utah Valley University). I didn't dare take pictures of the ones that didn't work out, but he finally made it work the way he wanted. He's worried about people stealing our work, so I had to protect it in this picture. He still amazes me with what he comes up with! So nice to meet you today! 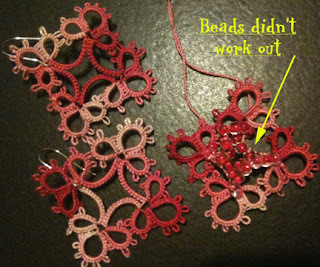 I do a lot of needlework but have never tried tatting. Such a talent! I admire this in you.